AUSTIN, TX--(Marketwired - Apr 16, 2015) - SolarWinds (NYSE: SWI), a leading provider of powerful and affordable IT performance management software, today announced that Microsoft has named SolarWinds® Head Geek Thomas LaRock a seven-time Microsoft® Most Valuable Professional (MVP) for demonstrating his deep commitment to helping others make the most of their technology and voluntarily sharing his passion and real-world knowledge of Microsoft products with the community. Each year about 4,000 MVPs are honored from the more than 100 million social and technical Microsoft community members through nominations submitted by Microsoft and other community individuals. Candidates are rigorously evaluated for their technical expertise, community leadership, and voluntary community contributions in the previous years. Microsoft MVPs come from more than 90 countries, speak over 40 different languages, are awarded in more than 90 Microsoft technologies, and answer more than 10 million questions each year. LaRock received his first Microsoft MVP award in 2009 and has received one each consecutive year for his continued contributions to and enthusiasm for the Microsoft community. LaRock was named a Microsoft MVP for his technical expertise with SQL Server® and his interest in system center cloud and datacenter management and Microsoft Azure™. LaRock is currently President of the Professional Association for SQL Server and shares his insights and expertise on his blog. "Thomas brings over 15 years of experience to the SolarWinds Head Geek team and is passionate about constantly staying at the forefront of changes in database performance tuning and virtualization technology to ensure that he can always be a trusted advisor and educator to the IT Pros that look to him for guidance," said Suaad Sait, executive vice president, products and markets, SolarWinds. 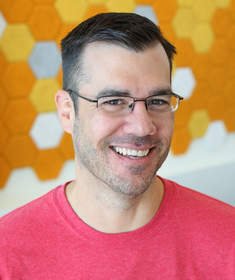 "Receiving his seventh Microsoft MVP award is a strong testament to Thomas' amazing first year as a Head Geek at SolarWinds where he has continued his commitment to interacting and sharing his insights with the larger IT Pro community." SolarWinds Head Geeks bring 80 collective years of real-world expertise and renowned industry credentials to provide the IT Pro community with perspectives, advice, and discussion on the latest trends and challenges in technology. SolarWinds Head Geeks engage with IT Pros on SolarWinds' thwack® community forums and Geek Speak blog and provide advanced technical training in monthly SolarWinds Lab sessions. The Head Geeks also participate regularly on various IT forums including myITForum.com, Windows-Noob.com, StackOverflow, and Spiceworks®. Patrick Hubbard boasts over 20 years' technical expertise and network management experience in areas including campus, datacenter, HA/DR networks, storage networks, VoIP/telepresence and VDI Fortune 500® and startups. He contributes regularly to TechTarget's SearchNetworking and SearchSDN. Thomas LaRock has over 15 years of IT experience, holding various roles such as programmer, developer, analyst and database administrator and is a Microsoft Certified Master and SQL Server MVP. Thomas serves on the Board of Directors for the Professional Association for SQL Server, is an avid blogger, and authored DBA Survivor: Become a Rock Star DBA, a book designed to help junior to mid-level DBAs thrive in their careers. Leon Adato is a Cisco® Certified Network Associate (CCNA), Microsoft Certified Solutions Expert (MCSE) and SolarWinds Certified Professional (he was once a customer, after all). His 25 years of network management experience spans financial, healthcare, food and beverage, and other industries. Kong Yang brings over 20 years of IT experience specializing in virtualization and cloud management to the Head Geek team. He is a VMware® vExpert™, Cisco Champion, and active contributing thought leader within the virtualization community. SolarWinds (NYSE: SWI) provides powerful and affordable IT management software to customers worldwide from Fortune 500 enterprises to small businesses. In all of our market areas, our approach is consistent. We focus exclusively on IT Pros and strive to eliminate the complexity that they have been forced to accept from traditional enterprise software vendors. SolarWinds delivers on this commitment with unexpected simplicity through products that are easy to find, buy, use and maintain while providing the power to address any IT management problem on any scale. Our solutions are rooted in our deep connection to our user base, which interacts in our online community, thwack®, to solve problems, share technology and best practices, and directly participate in our product development process. Learn more today at http://www.solarwinds.com/.